Catford South residents beware! Apparently we can no longer put textiles in our green bins. A local resident recently fell foul of changes in the procedures regarding the collection of recycling. 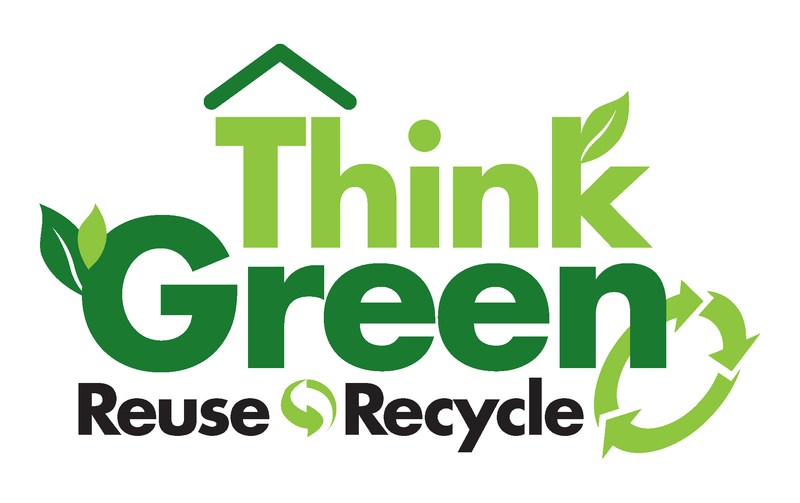 You can no longer put textiles in your green bin and risk your bin not being emptied. 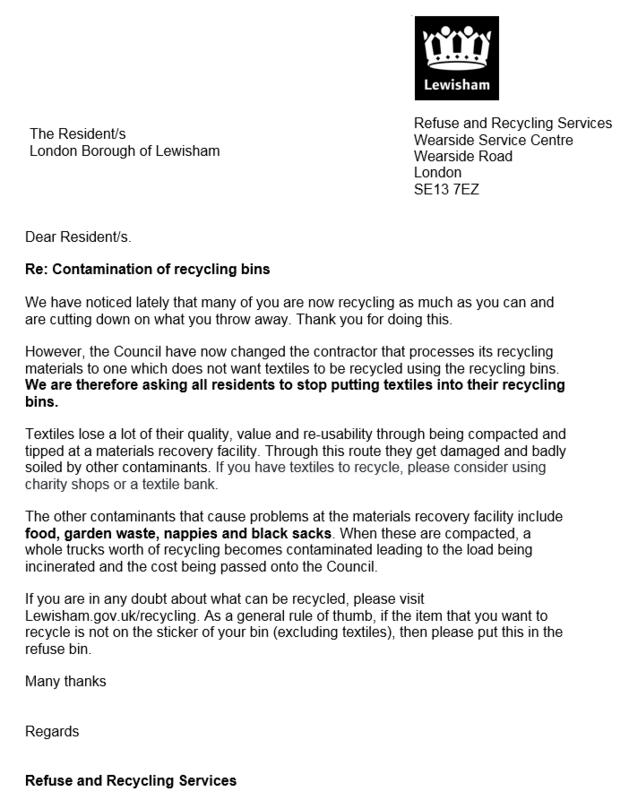 We have been asked to clarify the situation for you all, so have been in contact with the team at Lewisham Environment. “The Council’s contractor no longer takes textiles in the green recycling bin. We have done a number of communications about this including putting a red cross on the sticker (although weathering has meant that this has come off), and a letter distributed by the crews to householders informing them of the change. Our website is up to date with the correct materials and we have put this out on social media. However, not everyone will have seen all of these. As we’re changing our services we’re currently developing new communications materials and with this a new sticker for the recycling bins to show textiles are no longer collected. People should see the new stickers over the coming months. People can take their textiles to charity shops or one of the bring banks around the borough. It seems that many of us didn’t receive a letter, so here it is – we hope this information helps. If you have a local friend or neighbour who is not online, please help by letting them know about these changes. So much for Lewishams much vaunted improvements to re cycling in the borough!